Mesothelioma is a type of cancer that affects the lining of various organs. This lining is called the mesothelium, which is where the name of the cancer comes from. Although asbestos is commonly associated with causing lung cancer, it can also cause cancers of the stomach lining, abdominal lining and lining of the heart, among others. When it affects the lungs, mesothelioma is known as pleural mesothelioma. The mesothelium is a thin tissue that lines multiple different organs inside your chest cavity, hence the name “mesothelioma.” The pleural sac is the membrane that surrounds your lungs, and the tissue on which pleural mesothelioma grows before it spreads to other areas of the body, that is. Mesothelioma results from exposure to asbestos, a microscopic natural mineral that breaks and becomes airborne easily, burrowing into lung and other bodily tissue and eventually causing cancer. In an effort to help you understand this disease so you can treat it more effectively and extend your lifespan, this article will address many of the facts surrounding this sometimes misunderstood cancer, and will distinguish it from other types of lung cancer. We will discuss treatment options so you can do whatever you need to in order to live the longest, healthiest life possible. Mesothelioma can be very hard to detect due to the fact that its symptoms are similar to those of a range of other diseases. Early signs of the disease are frequently misdiagnosed as normal aches and pains associated with age – as most mesothelioma diagnoses occur in older people – or as symptoms of other illnesses, resulting in misaligned treatment plans that don’t end up effectively treating the mesothelioma. Additionally, mesothelioma has an extremely long latency period, typically lasting between 20 and 50 years. This means that between the time you are first exposed to asbestos (the main known cause of mesothelioma of all types, including pleural mesothelioma) and when symptoms first appear, decades may pass. This makes it hard to associate these initial symptoms, which may be quite mild, with asbestos-related cancer. Despite this, it’s a good idea to learn what symptoms are so you can help spot troublesome symptoms or disease progression. Unfortunately, even the more severe later symptoms are very similar to other conditions, such as non-mesothelioma lung cancer. These symptoms, however, are very good indicators of the presence of mesothelioma. For instance, 90 percent of patients had pleural effusions, which means if your physician can spot this symptom, they have a better chance of diagnosing and properly treating the problem. Getting a proper diagnosis of pleural mesothelioma cancer is one of the best things you can do to receive good treatment and extend your lifespan. A mesothelioma diagnosis is composed of two main parts: the location and the tissue type involved. In the case of pleural mesothelioma, you already know the location: in the lungs. Tissue type is also very important, though. There are two different types of cells involved in mesothelioma: epithelial and sarcomatoid. Epithelial cells are cells involved in the lining of various parts of the body. On the other hand, sarcomatoid cells are involved in connective tissue. While the former accounts for about 50 percent of cases and is significantly easier to treat, the latter comprises 15 percent of cases and is much harder. The remaining 35 percent of cases are mixed: both epithelial and sarcomatoid. Request that your physician keep running tests until they are sure about your diagnosis. This will help them give you a much more accurate prognosis. Your prognosis is your outlook, including how long you can reasonably expect to live and how your disease will progress going forward. The right prognosis also weighs into your treatment plan, as well as how you will arrange your affairs. Unfortunately, mesothelioma (and cancer in general) is notoriously hard to accurately predict the course of, because so many factors go into the prognosis. In the case of pleural mesothelioma, you are likely to live longer with epithelial mesothelioma (because of the less resistant cancer cells). Your general health at the time of diagnosis, as well as what other treatments you may be eligible for, will all play into your prognosis. Other factors that play in include your age at the time of diagnosis, the lifestyle you have lived, your medical history and your family history. Your life expectancy is also closely tied to prognosis, so let’s discuss that now. Sadly, the survival rate for people who have been diagnosed with mesothelioma is not very good. If you or a loved one has been diagnosed with pleural mesothelioma, which accounts for 80 percent of all mesothelioma cases, you will likely not live beyond 18 months after diagnosis. However, pleural cases do have the best rate of survival of all the mesothelioma types, with pericardial (heart) and peritoneal (stomach/abdomen) cases having much shorter life expectancies. The latter are much more difficult to treat, as is testicular mesothelioma. The survival rate of those who have been diagnosed with mesothelioma is typically quite low. Only about 40 percent live beyond a year after diagnosis, and only 20 percent live beyond two years. A very small percentage live beyond five years, though thanks to modern medicine, this is increasing. There are multiple treatment paths if you have been diagnosed with mesothelioma. The first and best option is surgery, which can remove all or part of the tumor, giving you a much longer life expectancy. In fact, people who catch pleural mesothelioma in its earliest stages can actually go into remission, meaning that all signs and symptoms of the disease disappear, including the shortening of lifespan. This is usually only possible in the first two stages of mesothelioma, however, which we will discuss below. Radiation is another option. This is a treatment in which physicians use high-energy particles or waves to target and damage cancer cells. Radiation is often very effective at dealing with cancer, especially when combined with other treatment options. Chemotherapy is the last of the mainstream treatment options. This is the use of chemicals which are toxic to cancer cells and cause them to die off. Unfortunately, the same chemicals used in chemotherapy are often bad for the body as well, causing side effects such as nausea, vomiting, diarrhea, loss of appetite and more. You should discuss treatments extensively before picking a course. There are many alternative treatments available as well. These include immunotherapy, or boosting your immune system, gene therapy, supplements such as zeolites or Spirulina, and cannabis, which can be especially effective for pain management. There are four stages of pleural mesothelioma. Stage 1: Tumor is localized. Stage 2: Tumor has grown and invaded the organ and possibly lymph nodes. Stage 3: Tumor has invaded that region of the body. Stage 4: Tumor has spread to other regions of the body. While mesothelioma is not a pretty sight, pictures can help you understand exactly what’s going on in cases of mesothelioma exposure. 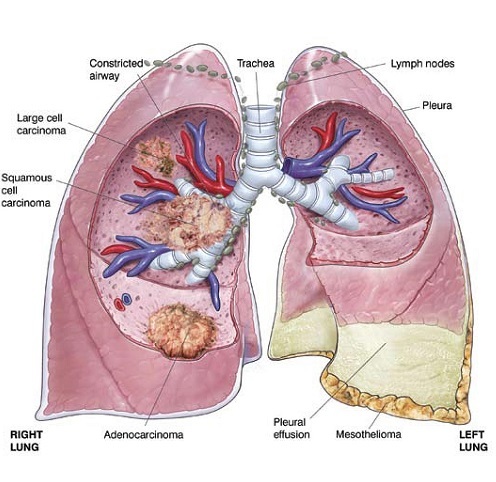 The pictures below were taken from real mesothelioma patients, and show how the tumor develops on the lining of internal organs, in this case, the lungs. While smoking does not lead to mesothelioma the way lung cancer does, it is definitely a factor. When combined with smoking, your risk of developing mesothelioma as a risk of asbestos exposure goes up to 90 percent. That means it is crucial you stop smoking immediately if you are a smoker who has been diagnosed with this disease. Lung cancer, however, is not associated purely with asbestos exposure, while in the case of mesothelioma, asbestos is the only known cause. It’s important that you talk to your doctor about which type of cancer you have and make sure to distinguish so you can make a proper treatment plan. 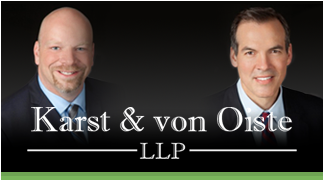 If you have been affected by mesothelioma or any other asbestos-related disease, contact Mesothelioma Treatment Centers today to speak with an asbestos attorney in your area to learn about your legal rights and treatment options. Compensation is available now.